Minister of Transportation, Rotimi Amaechi, says the Federal Government is set to convert Nigeria Shippers Council to National Transport Commission. 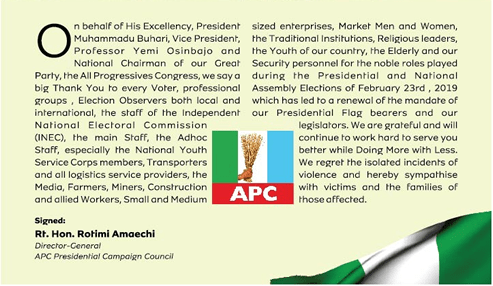 Amaechi said this at a news conference on the achievement of the ministry on Wednesday in Abuja. He said that the National Assembly had passed a bill that Shippers’ Council should be transformed to a commission, adding that the bill was currently awaiting presidential assent to become a law. He said: “Senate has passed the bill that converts Nigeria Shippers’ Council to National Transport Commission, the bill is currently waiting for the assent of the President. Amaechi said it would also create a multi-modal transport sector economic and safety oversight commission that would drive the national transport policy. Also speaking, the Executive Secretary, Nigeria Shippers’ Council, Hassan Bello, said that plans were ongoing to commence building of the TTPs in Enugu and Kogi states. Bello noted that Truck Transit Parks is privately driven, adding that NSC was working with the Federal Ministry of Transportation and Infrastructure Concession Regulatory Commission to achieve that. He said that plans were being concluded with ICRC, adding that in two-weeks there would be expression of interest to the private sector to come and bid. He said: “So far we have two that are coming, the one at Enugu, Enugu state government has donated land to NSC and the one in Lokoja, the Kogi state government has also donated land to NSC. “We are concluding with ICRC and soon, in two weeks time the private sector will come and bid. “As soon as the biding is done, construction will take about 16 months for us to complete the Truck Transit Parks in those two locations. “There are others coming up, we have heard that there’s a tremendous response by international investors and many states have expressed interest to have TTPs. Bello, who also spoke on dry ports in the country, said that the dry ports were established to avoid the mistakes of the seaports where there were congestions. He said the council plan to operate 24 hours services so that goods can be cleared within 48 hours. He added that the council was working with the Nigerian Ports Authority and other relevant agencies to make sure that everything takes effect. He said: “The success of dry port depends on rail connection, we need locomotives and NRC has promised to give us at least ten locomotives to Kaduna, because there are cargos there.